Though the ideal size for a background image is 1680 by 1050 pixels, not everyone has a spare one of these on their laptop. Lots of people do have vertical headshots, and they have asked how to update them to fit the about.me background space. 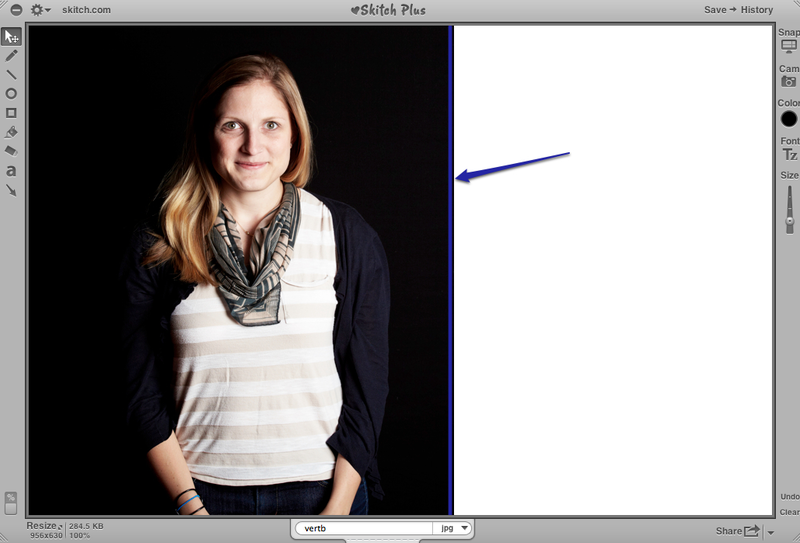 I’m going to show one way to edit an image for a background, using one of my favorite editing tools, Skitch. Other tools and apps should be able to do the same, though the steps may differ slightly. The super-easy version is just three steps, or you can add some color with a few more. 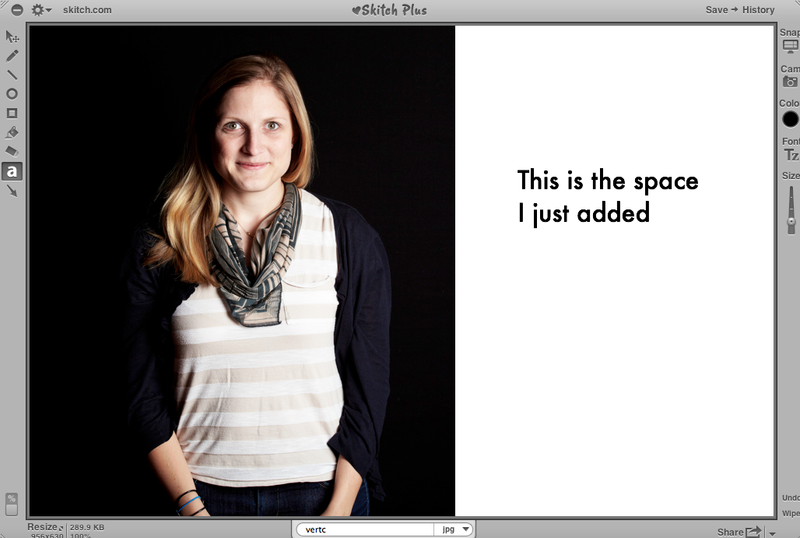 To start, add the image you’d like to use to Skitch. 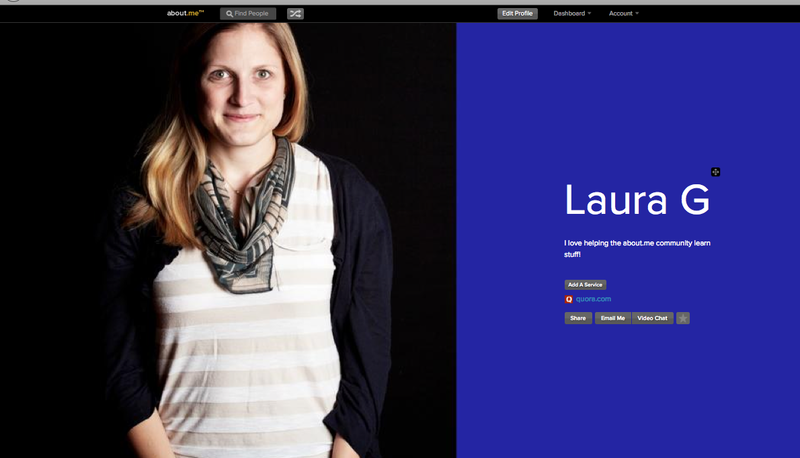 Then, drag the edge of the image to the right or left, to add blank space for your biography and services. On my example, I expand the right side. Voila! You can save your image like this and upload it with the white space to use as your bio background. But, I am going to go one step further and add some color. To do this, I first draw a line in the custom color I chose. Use the straight line tool to make it easier. After drawing my line, I use the paint bucket tool to fill in the right side of my image. With that, the entire side is blue, and ready to be saved to my computer and uploaded to my about.me page. I choose the scale option for my background, to ensure my slightly-smaller-than-ideal image fits the space. I now have a left aligned picture and vibrant color as the backdrop to my biography. If you give this a try, let us know your about.me URL in the comments so we can check out your updated page!